College coaches are beginning to recruit athletes for their teams years before the official recruiting period even begins, which can lead to students committing to schools often before attending a day of high school. 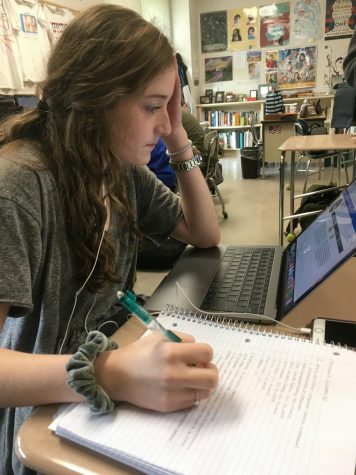 If it is a difficult task for 18-year-old seniors to decide where they want to go to college and essentially what they want to do with their lives, it has got to be even harder for 14-year-old eighth graders. This process has not been seen too often in sports such as football and basketball, but rather in sports including soccer, lacrosse, volleyball and field hockey. Generally, women’s soccer is viewed as the first college sport to utilize this system of early recruiting. The goal of these college coaches is to recruit and select players from both club and high school teams based on how they predict them to play four years later when they are actually in college. This strategy leaves room, however, for the risk of injuries throughout high school or even the fact that players may not meet their predicted level of play in the years to come. Students may also realize throughout high school that they do not want to play sports in college or that they do not see the school they committed to as the best fit for them. By the time colleges officially begin their recruiting, many teams already have their rosters completely filled with young players. College coaches are missing out on potential older players who develop and improve their skills later in their high school sports careers. Many student athletes who want to play in college but do not contact coaches or make the effort to get seen until their junior or senior years in high school are often overlooked and do not have as many opportunities to play, especially at Division I level schools. While the National College Athletic Association (NCAA) has rules designed to prevent early recruiting, there are many loopholes that colleges, club coaches and players have figured out how to get around. Club team coaches serve as the gatekeepers between colleges and players since there are limits as to how early and how often coaches and players can be in contact. It makes sense for student athletes to commit to play college sports as seniors, juniors, or even as sophomores. At this stage in their lives, students in these grades are thinking more and more about their future and what they want to do after high school. Freshmen and middle-schoolers, however, need to focus more on making the transition into high school, rather than immediately centering their lives around playing college sports. It is not a bad thing for athletes to consider playing sports at the collegiate level at an early age, but they should not have to face the added pressure from college coaches and recruiters. College coaches should wait until the official recruiting period to prevent this stress for players.